Night Film by Marisha Pessl follows the story of disgraced journalist Scott McGrath as he attempts to unravel the mystery behind the death of the daughter of an enigmatic horror film director, Stanislas Cordova. To solve the mystery of Ashley Cordova's death, McGrath must also unravel the mystery of Stanislas Cordova himself--an endevour previously undertaken by McGrath, which resulted in the loss of both his marriage and his career. In his attempt to expose Cordova, McGrath enters "a hypnotic, disorientating world, where almost everyone seems afraid" (Goodreads). If, during the course of this novel, you begin to experience a very faint case of déjà vu, you wouldn't be alone. The descriptions of Stanislas Cordova and the films for which he is famous in this novel, are a bizarre hybrid of Alfred Hitchcock meets Orson Wells; a deliberate choice on the part of Pessl, I believe, in order to allow the reader to be able to have a sense of familiarity with this enigmatic, elusive character (never seen, but always talked about) right from the start of the story. Stanislas Cordova might not be a real person in outside of this novel...but he stands as a representation of familiar figures in the suspense/horror film industry. He stands as such a powerful figure of mystery and questionable action, that it almost is possible for McGrath's question to uncover the mystery of Cordova to be carried without the addition of the mysterious death of Cordova's daughter. Almost. 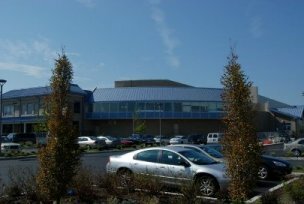 The questionable death of Ashley Cordova brings into the story what it would lack without it--namely, a reality check. McGrath seeking answers regarding the death of Ashley reinforces the idea that Cordova is in fact a singular person who marks the lives of those around him. Without Ashley and her death, it would have been easy to explain Cordova away as just the face of an massive organisational conspiracy, but not actually a real person. Ashley confirms to the audience that Cordova is a real person, steep in mystery, but a tangible person nonetheless. Ashley keeps the story grounded in reality. I say "sort of" because eventually you'll reach a point in the novel where it starts to read like the most intense H.P. Lovecraft story ever written, and reality flies right out the window. This is right around the time that people in the story are lacing everything with powerful hallucinogenics, diving into dark magic, and summoning demons. However, it is still a compelling story that I am glad I stuck with until the end. It is a story about a man who chose dark suspense films as his artistic medium, and in the process of revealing his character, reads just like one of those dark suspense films--giving the reader the same adrenaline rush. 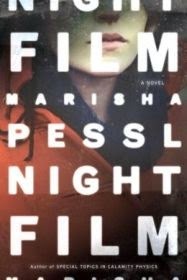 Night Film by Marisha Pessl is available at the Ocean City Free Public Library.